If you were to venture into my kitchen and take a minute to examine the vestibule of my Kenmore refrigerator, you’d find a plethera of refrigerator-related items. You would find nine different magnetic calendars from various real estate agents, dry cleaners, and pizza places along with three to do lists and a myriad of pictures and magnets jumbled among several pieces of artwork representing our 3-year-old’s interpretation of our house, dog and his grandparents. But perhaps the most curious thing stuck to the bone-colored facade of my official beer cellar is what looks to be a real live lime. Or at least half a real live lime anyway. No I didn’t go on a Cabo Wabo bender and Super Glue half a lime to my fridge. I’m more civilized than that. I got myself a Limer. I know, I know. WTF is a Limer? Well, a Limer is a half rubber lime that looks, feels and has all the characteristics of a real lime. 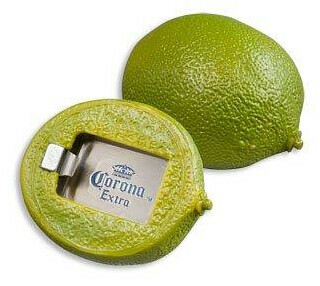 That is if a real lime was made of rubber, had a magnet in it and could also OPEN BEER BOTTLES! Yep. This bad boy doubles as a refrigerator magnet AND a bottle opener. The really cool thing is when you pop the top on a bottle of beer, the bottle cap actually sticks to the Limer because of the super strong magnet that’s embedded in it to make it stick to the fridge. <a title="The Limer by The Drunk Pirate, on Flickr" href="http://www gabapentin medication.flickr.com/photos/[email protected]/5019569700/”> I’ve been using my Limer for about a month now and can honestly say that it’s one of the coolest bottle openers I’ve ever owned. There was an instance where it was leaving a sticky brown residue on the fridge, but I soon figured out that the reason was because I was spilling beer all over it and then slapping it back onto the fridge. I guess after a while the beer residue kind of built up. But other than that it’s been a really cool and novel conversation piece. That being said, I do hereby announce that I have a few of these cool little Swiss Army Limes to give away to you guys! I’m going to give a few to those of you who have subscribed to our mailing list and a few to those of you who follow us on Twitter. The rest of you lazy jerks have to earn yours. 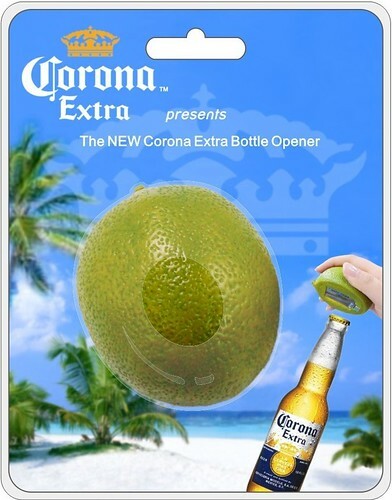 To get your own Limer, just send us a pic of you opening a beer in the most creative way possible. The most creative drunk will get themselves a free Limer. If you’re super lazy and just want to buy your own Limer, you can visit their site for ordering information.